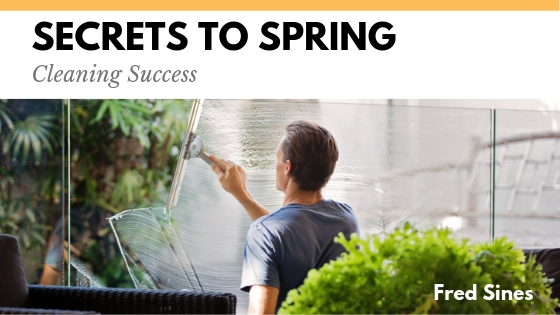 Cleaning for the spring season can feel like an amazingly fresh start for anyone. It can be a relief to get through the taxing and frigid winter season in one piece. People often make the intelligent decision to clean their lives. They frequently refer to the concept as “spring cleaning.” Spring cleaning involves doing away with clutter. People who are eager to clean their homes thoroughly can get a lot out of focusing on certain strategies. It can be incredibly overwhelming to begin the spring cleaning process. It can be difficult for people to figure out where to start. People who want their spring cleaning efforts to go off without a hitch frequently deal with the confusion by establishing tangible schedules. They promise themselves that they’ll stick to them, too. Decluttering a residential space can be a massive project. It can sometimes even be a project that calls for a little outside assistance. People who want their spring cleaning tasks to go smoothly often recruit help from friends and relatives. Teaming up with another person can make the spring cleaning process a lot swifter. It can make it a lot more entertaining, too. Cleaning alone can sometimes be rather dull. Lack of storage can make managing a spring cleaning mission practically impossible. People who want to deal with insufficient storage space don’t have to cry about nonexistent closets. That’s because they can always invest in durable storage bins. There are so many options in storage bins nowadays. People can safeguard clothing pieces that they don’t need at the moment in these containers. They can safeguard old tools and equipment items inside of these containers as well. It can be an enormous mistake to try to tackle everything all at once. People who attempt to bite off more than they can chew often give up on all of their spring cleaning attempts. If an individual is serious about spring cleaning achievement, he should prioritise certain parts of his home. It may be a terrific idea to clean out bedrooms first. People can follow bedroom cleaning work by concentrating on family rooms and dens, too.